Despite being a leader in many things, especially when it comes to food and drink, New York was a coffee wasteland for a long time, which is surprising considering how much coffee New Yorkers drink. While we proudly walked the streets with our blue and white cups from the local Greek diner there were pioneers like Counter Culture in Durham, NC, and Stumptown in Portland, OR, changing the way we looked at and drank coffee. Of course, we are quick studies and now New York is at the forefront of the coffee world. 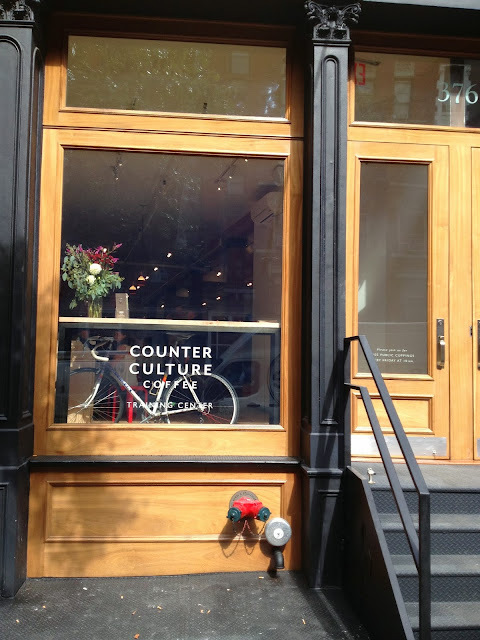 Stumptown, Counter Culture, Toby's, Blue Bottle and others have all set up shop here and local companies like Gorilla, Oslo and Brooklyn Coffee Roasters all roast here in New York. The newest temple to coffee, Counter Culture's new Training Center, opened this week on Broome Street. It is a beautiful space featuring the latest equipment and their wonderful staff. 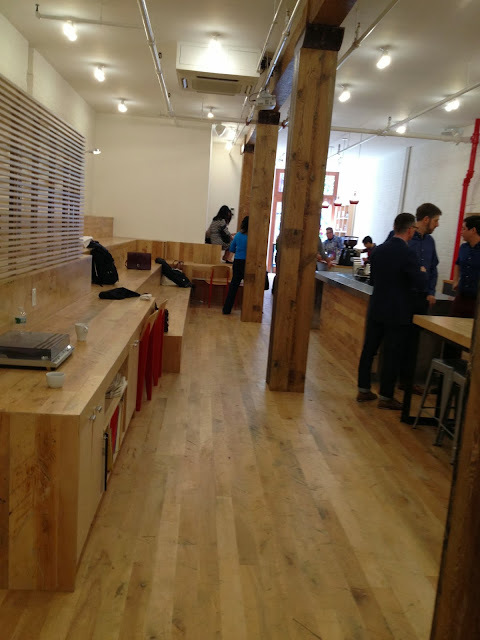 I was lucky enough to check out the space this past Frday, the day of its grand opening. 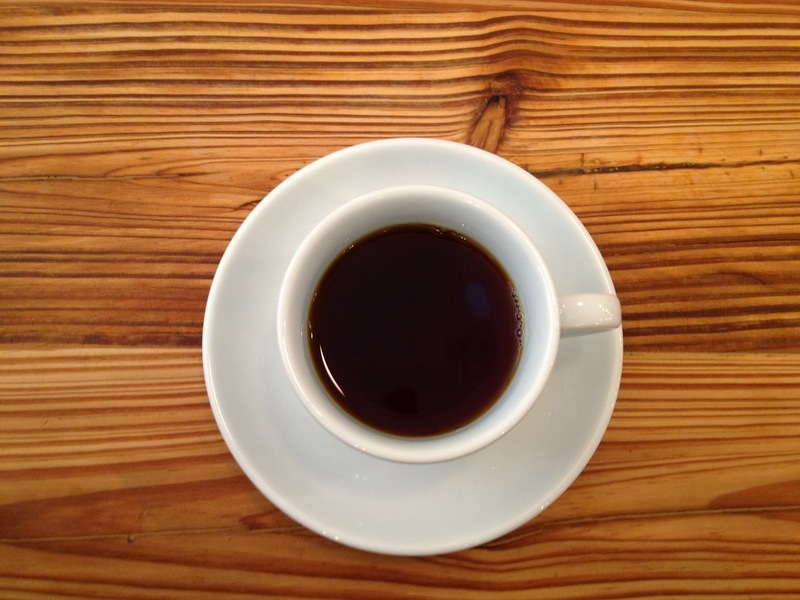 I sampled some remarkable pour over coffee and caught a business owner's roundtable on owning a coffee shop. Here is quick look. The mission statement of the Counter Culture Training Center is education. The training center is used to train baristas in the art of making coffee, be it pour over, espresso or just understanding different types of beans. 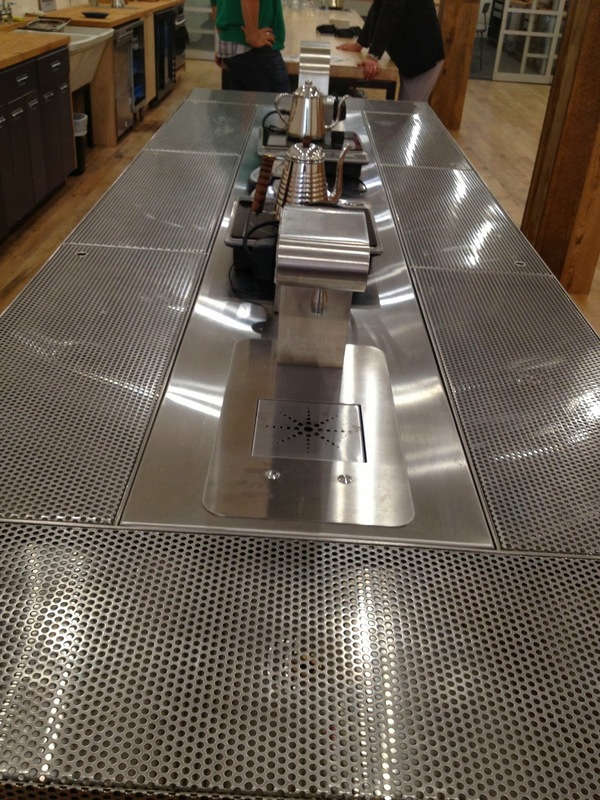 The Center is also a tool to educate the public on the the remarkable varieties and styles of coffee. They offer weekly cupping classes to the public. These classes give you the chance to experience the diversity in coffee styles first hand. Think of a wine tasting at your favorite liquor store. The sad reality is most people in the United States still think Dunkin Donuts is the height of good coffee and a pod coffee maker is the height of home brewing. Coffee companies like Counter Culture and Toby's Estate are working hard to break the bad habits of the average coffee drinker. In truth, today's top coffee companies treat coffee with same care and craft as winemakers and believe that where beans are grown, how they are harvested, dried and roasted, in addition to how it is brewed, can result in a depths of flavor and style as varied as wine. I have become a believer as well. If you are skeptical, this next bit will get a snicker out of you. The barista uses the buttons to program the flow. Am I going to install one of these in my home? No. 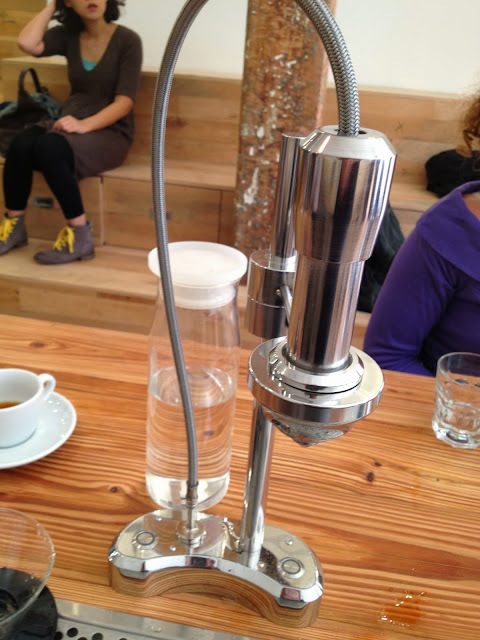 Am I thrilled to enjoy the kind of coffee a system like this can make? Yes. 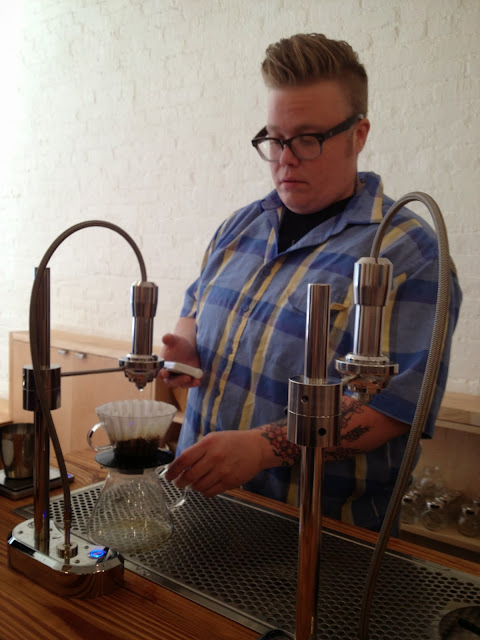 Erin McCarthy, World Brewing Champion, at work. Erin won the 2013 World Brewer's Cup championship making him the best coffee brewer in the world. The coffee gods smiled upon me during my visit to the training center. I got a chance to sit at the bar and talk with Erin as he brewed coffee and answered questions. Then I drank his coffee. If all this is too precious and pretentious for you I promise you I was as skeptical as you. I do like coffee, but this could be veering into fetish and artifice. After I sampled the coffee my skepticism vanished. Erin brewed two pots of coffee. He used the same beans, Counter Culture's Banko Gotiti from Ethiopia. He used the same pour over water program so that the brewing was exactly the same. The only difference in the two pots was the grind of the beans. One finer than the other. The results were surprising. The first cup of coffee was a little think with strong chocolate notes. The second cup was clean, bright and full of fruit. I was astonished. The cup of coffee that opened my eyes to the importance of the grind. I have gone to wine tastings where wines have been described in these terms and while I could taste basic differences in the wines I was not getting the "hint of cherries" or "leather" in the wines. This was not the case with these coffees. The first cup was just as I described. The same with the second. I was honestly stunned. Until that moment I did not believe the grind could play such an important roll in brewing and make the same beans taste so dramatically different. Obviously, being able to control the rest of the brewing process so precisely helps. But it gives you an appreciation of the true nature of good coffee, treated with care. If you are still a skeptic I encourage you to fine a cupping class near you and to go with an open mind. Wine has its mass producers like Yellowtail that many people like. It is cheap, convenient and easy and made to taste the same every time. For a lot of folks that is good enough. But for those willing to dig deeper there is a whole world of wine out there and it is not nearly as expensive or hard to understand as people think. The same is becoming true for coffee. Most people think Pods, McCafe and Mr Coffee makers are just fine. But if you are willing to take the time and have an open mind there is a world of passionate people ready and willing to introduce you to the remarkable world of coffee. Go find them. It is worth the effort. This place looks astonishing neat, clean and very inviting. A place that students via Supreme Dissertations would want to visit anytime soon. Play Euchre to improve your skills and entertain yourself to the logical play. Wow, Such a lovely article you have written, if you are interested in buying the gaming laptop, please Visit my Website. Thank you. This is a great idea to turn it to educational platform. I want to do the same with my blog https://narrativeessays.org/as-a-white-slave-free-essay-sample-abstract/ at first. All programmers should really know a thing about standard info structures like stacks, queues and heaps. obat herbal dermatitis herpetiformis Graphs are a tremendously valuable Resources strategy, and two-three trees address a lot of complications inherent in more standard binary trees. Thanks for this great post. This is really helpful for me. Also, see. Nice post thanks for sharing this information with us. Bitdefender Total Security Crack is the world best, latest and advance all in one security application software which product your computer from all cyber threats and all viruses. It is complete full factures antivirus software to secure your device form all kinds of rising threats and has some additional feature which are not present in many others programs. It can detect almost all latest and old kinds of viruses. It also has Sandbox to run the documents. It provide many features like File Shredder, Webcam protection, password supervisor, firewall and many more. It can scan your device deeply and detect all kinds of threads.